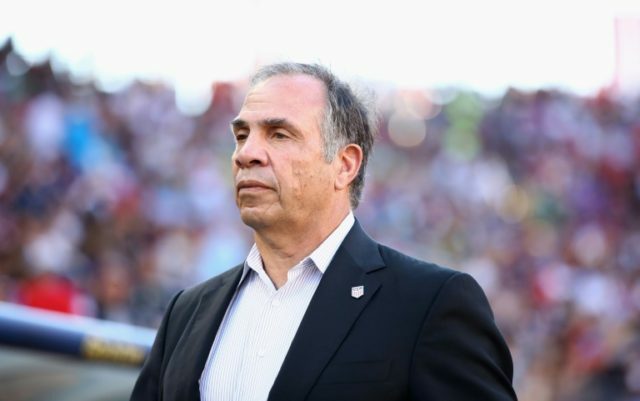 Los Angeles (AFP) – Bruce Arena says he accepted blame for American’s World Cup failure by resigning quickly, but added there were also had a “few bad eggs” on the roster who helped spoil the team chemistry. Three months after the US’s failure to qualify for the 2018 World Cup, the former head coach opened up about the team’s shortcomings Friday at a soccer coaches forum Friday in Philadelphia. “It wasn’t the same team with the right chemistry. It just didn’t seem like everyone was on the same page with the right mentality,” Arena said Friday. Arena also levelled his guns at armchair critics who second guessed the team’s coaching staff. “You got some answers for me the day before the game? During the game? I’m listening. Everyone the day after, you’re a bunch of phonies. I don’t want to hear about it the day after. We’re all the best coaches the day after,” he said. The USA hopes were dashed with a 2-1 qualifying round defeat to last place Trinidad and Tobago, ending a seven straight appearance streak for the US on soccer’s biggest stage. All the US needed to advance was a tie against Trinidad. “We laid an egg,” Arena said. “Top players respond to big games …. I told (the players) we’ve got to be ready. I think our players understood that. Arena, who also coached the team between 1998 and 2006, said injuries and a lack of depth contributed to their demise. Then there were others in the lineup who lacked the character to overcome the adversity, he said. “We had a couple of bad eggs …. we were all well aware and the players were aware (of who they were).